For more information about the ProTect program, please see the questions below. If the answer to your question isn't here, check the Frequently Asked Questions (FAQ) or SMART Programs Training Requirements pages. If you need more help, please contact us. 1. What is ProTect Security Staff	Training? The information in ProTect provides workers with training on the social responsibilities related to maintaining the security and physical safety of the licensed premises, patrons and premises employees. It does not replace the on-the-job training, knowledge or experience provided by or required by a worker's employer or special event host, nor does it include information on all AGLC laws and policies. 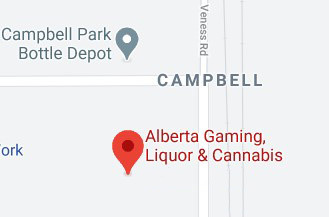 A BIT OF HISTORY: In November 2005 and March 2006, the AGLC and Alberta Solicitor General and Public Security held roundtable meetings to discuss the issue of violence within the context of bars, nightclubs, and other licensed premises. The Roundtable's purpose was to gather input, information and advice from stakeholders on the front lines - from the people who work in, own, manage, regulate and protect province's licensed premises. Roundtable participants recognized that trained staff can play an important role in identifying and handling aggression before it escalates into violence. They also noted that properly implemented training programs can reduce licensees' risk of liability and help to lower insurance costs. Roundtable participants commended the ProServe (formerly ASIP) program and proposed the development of complementary, certificated training programs for security and door staff. The AGLC began conducting ProTect seminars in various locations around the province in February 2008. The program went online in March 2010, allowing for increased accessibility for workers who require the certification. 3. How will the ProTect program help me at my place of work/special event? ProTect is aimed at increasing patron and staff safety. The program is a key part of the strategy on safer communities. Training will help security and door staff improve their observation and communication skills, preparing them to prevent, defuse, and manage customer disturbances. ProServe and ProTect SMART Training programs help to ensure industry workers understand liquor laws and policies, and are well-prepared to provide responsible service to Albertans. When implemented properly, the programs can assist licensee staff and volunteers improve the safety of their premises and reduce the risk of liability. 4. Who has to be ProTect-certified? Although required only for Class A Minors Prohibited licensed premises and Commercial Public Resale Special Events, ProTect training is also recommended for individuals who work or volunteer in a security position in any other class of licensed premises or special event function. Note: All individuals required to successfully complete ProTect Security Staff Training are also required to successfully complete ProServe Liquor Staff Training. Persons requiring ProTect certification must be certified within 30 days of their employment start date or before the expiration date on their certificate. Workers providing security at a Commercial Public Resale Special Event must be certified before the event. More information is in Section 1.7 of the Licensee Handbook, online at aglc.ca. 6. Who does not need ProTect certification? Licensee staff and Commercial Public Resale Special Event volunteers must provide proof of ProTect certification at the request of an AGLC Inspector. Failure to present proof of certification (card, Personal Information page, image or photo saved to a mobile device/phone) may result in disciplinary action. All individuals required to successfully complete ProTect Security Staff Training are also required to successfully complete ProServe Liquor Staff Training. Policy and program content may change after workers are certified. Industry workers are responsible for reviewing the program content and Licensee Handbook periodically to keep their knowledge current. 9. I have questions about my ProTect certification. Where can I go to find more information?